Who does not know that hangover feeling the morning after a night of drinking? The best way to prevent that is not drinking at all or maybe have just one drink. But what if there are other options? Eating before drinking might help in warding off the hangover symptoms. Is it possible to prevent hangover with food? Which healthy fats prevent veisalgia? Will protein prevent a hangover in the morning? How to choose carbohydrates that prevent crapulence? What are the best hangover preventing vegetables? What to eat while drinking to prevent a hangover? Eating something before a night out with friends can keep the awful hangover symptoms at bay. 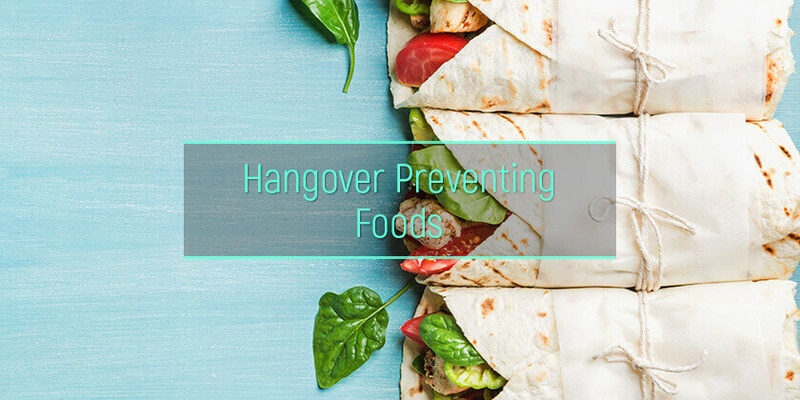 It is possible to prevent hangover with food, but only with certain foods. A greasy, salty, fatty meal will do worse than good. Food slows down the body’s alcohol absorption, reducing the release of acetaldehyde (the primary cause of a hangover) in the stomach. The more food is consumed before drinking, the more it will take for the alcohol to enter the bloodstream. Alcohol contains empty calories, which have no nutritional value. That is why one can mitigate the late-night cravings with some healthy food rich in minerals, vitamins and nutrition-heavy calories to prevent a hangover. Here are some of the best healthy food options to consume ahead of consuming alcohol to keep away that head-pounding hangover. A slice of wholegrain toast with some avocado is a good food to eat before drinking. Avocado contains healthy fats and complex carbs that will counteract the drop in potassium caused by alcohol. Therefore, the avocado will prevent the weakness in your muscles and the dizziness that come the next morning with the hangover. A spoon or shot of olive oil before drinking will coat the stomach slowing the absorption of alcohol into the bloodstream. If drinking oil is too much, dipping bread in it will also do the trick. Just like olive oil, whole milk will line the stomach before drinking and also provide fat and vitamins that the body will be depleted of due to alcohol intake. Either drink a glass of milk or have it with cereal and keep hangover away. Nuts contain healthy fats and protein which can protect the body against intoxication and ward off a hangover. Walnuts and almonds slow down ethanol absorption. So, grab a handful band then have fun, but stay away from the salted ones. Those will only make one drink more. Salmon is another great food to eat before drinking. Grilled salmon is always a good bet. It contains protein, healthy fats and B12 vitamin which influences blood sugar levels, mood, and metabolism. Having salmon as a healthy food option would fill your body with vitamins, helping in recovering the next morning and avoid a hangover. Who does not like chicken breast? This would be the best thing to eat before drinking alcohol to stay away from a hangover. 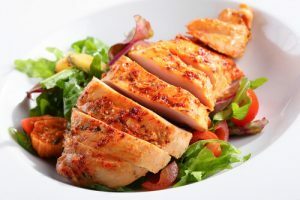 Similar to eggs, chicken breast has cysteine, one of the few amino acids containing sulfur which can maintain the structure of proteins in the body. Cysteine would aid in the breakdown of alcohol toxins and provide protein. Still wondering which would be the best food to eat before drinking alcohol? A simple dish of spaghetti, garlic, oil and chilly (optional) will work wonders. There are the carbohydrates from the spaghetti which counteract nausea and keep the blood sugar levels at normal and the olive oil to line the stomach and keep the ethanol away from the bloodstream as long as possible. Another best thing to eat before drinking is hummus. Similar to avocados, chickpeas contain B6 vitamins and fiber which would keep the stomach full for longer. Avoid dipping pita chips and choose raw veggies instead. Among the good foods to eat before drinking, there is also whole wheat bread. It is rich in complex carbs which will keep the blood sugar up before drinking. Ethanol affects the body stores of glycogen (a quick energy source that is stored in the liver). Carbohydrates keep the glycogen levels at maximum and also fill in the stomach. Spinach is another good food to eat before drinking alcohol as it is rich in magnesium, another nutrient abused by ethanol. The vegetable also has anti-inflammatory properties and contains vitamin c, folic acid, and Sulphur, all known in helping ward off the hangover effects. Grab a salad with spinach, avocado, nuts, chicken breast and olive oil, and you would have the bomb of anti-hangover food. As weird as it might seem, munching on pickles before drinking can ward off a hangover. Pickles contain sodium, a hangover-fighting electrolyte. When the sodium levels are too low in the body, it can lead to fatigue, headachea and vomiting. Consuming asparagus before consuming alcohol is better than pills to prevent a hangover. The vegetable contains amino acids which help the body break down ethanol more efficiently. Just chop some asparagus and add it in an omelet or as a side for the chicken breast. 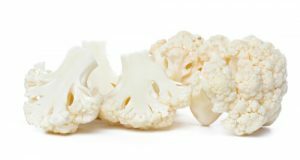 Cauliflower contains vitamin C, which helps the vital organs not go into overdrive trying to flush out the ethanol in the body. Snack on cauliflower before drinking or dip it into some hummus and keep the headache away. You are eating before and while drinking is a good idea too. Who does not like to have a snack between drinks? Usually, the food choices are not so healthy and would only increase the thirst, therefore the number of drinks and therefore the chances of getting a hangover. But there are healthier food options to take into consideration such as unsalted, unshelled peanuts, nuts, vegetable sticks with dips (hummus), air-popped popcorn, veggie pizza, baked pita or cheese and crackers. When it comes to a meal option to keep hangover at distance, choose food which is rich in fiber, carbs and healthy fat and stay away from oil and salt. There is not a single solution on how to prevent a hangover as it all depends on so many factors. But consuming food that is healthy, like the options above, will help in lessening the hangover symptoms, if not prevent them. One can still indulge in the favorite food, but with some healthy modifications. Some prefer taking vitamins before bed, but why not benefit from those vitamins directly from the food? There are so many choices to opt for, that is impossible for anyone not to find healthy foods to eat before drinking and increase their chances of feeling good the next morning, without a hangover. Food plays a bit part not only in preventing hangovers but in alcoholism treatment as a whole. The appropriate amount of proteins, healthy fats and carbohydrates ensure that the patient leaves the rehabilitation institution in his best shape.